According to a Freedom of Information Act reply from the U.S. Bureau of Transportation Statistics (BTS), the last known pre-9/11 flights for three of the four aircraft involved in the terrorist attacks of September 11, 2001 took place in December, 2000, nine months before the attacks, while no pre-9/11 final flight information was provided for American Airlines flight 77 (N644AA). The noted first request was construed as being for the final pre-9/11 flights of the said planes while assigned the flight numbers AA 11, UA 175, AA 77 and UA 93. The intended request is the one presented - for the final pre-9/11 flights of the said regaistered aircraft regardless of flight number. Aidan Monaghan on Mon, 06/22/2009 - 6:04am. So, where the heck were these planes and what were they doing in the lead up to 9/11/01? Years ago I had a client who sold large planes to the CIA and other nefarious types (as well as everyone else). I sure wish I still knew how to get a hold of him as I'd love to ask him about these planes. As we all try to piece the 9/11 puzzle together, some of us work on the easier to find edge pieces, others on the most colorful patterns, you have chosen the difficult and painstaking task of sorting through the many hard to distinguish pieces which ultimately connect everything together. Your determination and diligence continue to be truly inspiring. You are truly inspiring, Mr. Monaghan. LeftWright on Mon, 06/22/2009 - 3:56pm. KNOWAR on Mon, 06/22/2009 - 12:20pm. Planes Still Flying Until 2005 ??? until 2005? What do we know about that? Joe on Mon, 06/22/2009 - 4:02pm. Re: Planes Still Flying Until 2005 ??? The only way they could still be flying is if their numbers were altered, or if there is a conspiracy of plane spotters/airliners.net ;-) I'll presume the most likely until evidence to the contrary: the flights in question were destroyed on 9/11. What I find very interesting is the fact that at every turn of 9/11 research, AA 77 is shrouded in mystery. SnowCrash on Wed, 06/24/2009 - 12:35pm. rm on Wed, 06/24/2009 - 10:43pm. "What I find very interesting is the fact that at every turn of 9/11 research, AA 77 is shrouded in mystery." DTS logs list every tail number, with flight date and times for the 3 other aircraft used on 911, but not for AA77. TruthgoneWild on Thu, 06/25/2009 - 6:22pm. According to the Office of Airline Information, in order to locate the responsive records, they performed a search in the following database: http://www.transtats.bts.gov/ with the “tail numbers” you provided in your FOIA request. I hope this information is helpful. Was able to locate most of the year 2001 information missing from the said reply via the below database. Do BTS FOIA searches derive information from a different database than the one above or did search parameters change after 2000? Aidan Monaghan on Wed, 06/24/2009 - 4:53pm. They fucked you over and they're not shy about it. This tells me FOIA requests are subverted shamelessly in a lawless oligarchy. Any legal recourse for shamelessly violating FOIA? SnowCrash on Wed, 06/24/2009 - 9:16pm. As usual, your tenacity has paid off. I think this is going to be some telling evidence. My opinion on the way things played out is that they has remotely piloted planes hitting targets that day, and this definitively shows that they had 9 months to prepare these planes, or test them since the technology was most likely already built into them. It never ceases to amaze me at how subtle details in murder cases can end up being some of the most damning evidence. I doubt there is a good explanation about why three of the four aircraft that we know were involved in that fateful day were not used for 9 months prior, then just happened to all be destroyed on the first day back into service. One more coincidence that doesn't add up. This is a great fact you could use to provoke questions as far as the credibility of the OCT. If you still need to convince anyone that it's all a big lie, that is. Thanks for sharing this information, you are a great investigative mind and your unwavering and unflinching approach to getting facts directly from them is incredibly inspiring. You are one of those folks that has found a way to force them to incriminate themselves with one of the most powerful tools of oversight we as citizens have. Thank you very Much, Aidan!! Dave Nehring on Mon, 06/22/2009 - 6:22am. They will have a damn hard time explaining this one. Michael Fury on Mon, 06/22/2009 - 6:36am. Note the nearly simultaneous termination of information for the three aircraft - 12/30 and 12/31 of 2000. It wouldn't be surprising if the FBI seized this information along with other Department of Transportation and airline records for the 9/11 planes. Aidan Monaghan on Mon, 06/22/2009 - 6:49am. then these records--including airline service logs--would be exempt from FOIA as "evidence in an ongoing investigation"? Michael Fury on Mon, 06/22/2009 - 9:41am. marzi on Mon, 06/22/2009 - 7:09am. I appreciate your adherence to a straightforward pursuit of important documents. penguin on Mon, 06/22/2009 - 8:24am. First of all - congratulations and the deepest appreciation to Aidan from the ENTIRE WORLD which will someday (soon I hope) recognize his work along with that of Jones, Ryan, Griffin, Gage, Chandler, McQueen, ZWicker etc. etc. etc. However, realistically speaking - there is nothing more ludicrous than the magic passport (except perhaps for building 7 which is a tie). Any mind that can accept those, will have very little trouble accepting the fact that 3 planes were out of service for such a long time. Marzi says: "cannot be explained by government shills in any SATISFACTORY way. " NOTHING in the official story can be explained in a "satisfactory way" to a mind that is still under the influence of the psyops. The key is in neutralizing the psychological gatekeepers that exist within the brain. (I don't know how to do that). zmzmzm on Mon, 06/22/2009 - 8:35am. zmzmzm: "The key is in neutralizing the psychological gatekeepers that exist within the brain. (I don't know how to do that)." UNIVERSE is with us. I firmly believe that it is becoming easier to break through. But for now WE must put forth the effort. The TRUTH and LIES of 9/11 is not the ULTIMATE but it is the IN YOUR FACE, IN THIS MOMENT challenge that WE are tasked with. I will suggest everyone look into Morphogenic Fields. The study of morphogenic fields is an attempt to scientifically document and describe how the human consciousness is shared. The Morphogenic fields also plays the main role in the idea that humanity at one point in time will go thru a dramatic collective shift in consciousness. It will happen when the critical mass for a shift is reached, or in other words, when a certain number of spiritually awakened individuals are reached. The story �The Hundredth Monkey� gives an easily understood background to the theory. "The quantum world is teasing and enticing in many ways. Fields fit right in. They are, as biologist Rupert Sheldrake describes them, 'invisible, intangible, inaudible, tasteless and odorless' (1981, 72). They are often unapproachable through our five senses; yet in quantum theory, they are as real as particles. . . This leads to a puzzling situation. Physical reality is not only material. Fields are considered real, but they are non-material. Sheldrake has created an intriguing concept of fields in biology. He has postulated the existence of morphogenic fields that govern the behavior of species. This type of field possesses very little energy, but it is able to take energy from another source and shape it. The field acts as a geometrical influence, shaping behavior. Morphogenic fields are built up through the accumulated behaviors of species' members (Sheldrake 1981, 60)." Joe on Mon, 06/22/2009 - 9:12am. I do believe that UNIVERSE is with ALL. It is good to have posts such as yours as a reminder that REALITY is deeper than what appears on the surface. I agree that this is " IN OUR FACES, IN THIS MOMENT - a challenge that WE are tasked with." Meher Baba "spoke" of "The New Humanity" ---- the shift in consciousness to which you refer. zmzmzm on Mon, 06/22/2009 - 9:47am. We all have our hats with 9/11 Truth, which combined and by dissemination, spread an awakening of awareness which is often stated as spiritual in nature. And it becomes evident by obsevation that there is a "contagiousness" of this higher awareness that goes beyond the physical realm. Also, in the 9/11 Truth Movement, we are encouraging people to LOOK, to observe, to recognize what one is observing. Increased awareness comes from looking. 9/11 Truth breaks the cage which inhibits LOOKING. With a great sum of people actually gaining a better ability to LOOK, we are headed for a new age of awareness. TomT on Mon, 06/22/2009 - 10:18am. This is the key to our success. That's one reason why blogs like this are so important. The more we can trust in the invisible quantum energy radiating from our movement, the more breakthroughs we will have. Our actions are important, not in and of themselves, but as a validation of our belief in the end result -- the truth. It's energizing being part of a movement where this is such an organic part of our identity. It makes us unstoppable. 911Peacenik on Tue, 06/23/2009 - 10:33am. NOTHING in the official story can be explained in a "satisfactory way" to a mind that is NOT still under the influence of the psyops. zmzmzm on Mon, 06/22/2009 - 9:39am. Could you buy a cleaner one at Target? If it floated down to the crash site (without drifting), then the plane was holed before it crashed. If it was "protected" (from a 500 mph crash/explosion) inside luggage, then the hijackers were packing spare costumes for a suicide mission. Michael Fury on Mon, 06/22/2009 - 10:04am. The wings of the "plane" that hit the Pentagon - "folding back and flowing into the hole like a liquid" was pretty good too. zmzmzm on Mon, 06/22/2009 - 11:04am. Great work Aidan. Have you asked the U.S. Bureau of Transportation Statistics whether or not remaining 2001 flights are classified and that this is why the information is cut off at the end of 2000? In other words, does the fact that 2001 flight records are 'unavailable' also indicate that they did not fly? Or do these documents prove that the record keeping has 'failed', against the regulations? Note that plane spotters also keep databases online, so that may help prove or disprove this find. SnowCrash on Mon, 06/22/2009 - 9:03am. Or - It looks like they searched for flights in the year 2000, and may have used Dec 31 as a cutoff date for their search. That is, they may not understand what you are looking for. simuvac on Mon, 06/22/2009 - 9:10am. Considering the fact I could find this on the internet it seems odd for the U.S. Bureau of Transportation Statistics to withhold this data even from a FOIA requester. (Of course, I do realize this is not by far a full flight history) I hope this helps! SnowCrash on Mon, 06/22/2009 - 10:12am. "Here we go" is right........."FOMIA"
This info makes the response to Aidan's inquiry even stranger. I guess the acronym needs to be changed to FOMIA (Freedom of MIS-information Act). There is, of course, no real accountability here. The BTS can merely release incomplete data and even with demonstrable evidence to the contrary, cannot be made to account for their actions. Maybe someone could do a FOMIA request for any one of the flights mentioned here and then possibly find the BTS in violation of the FOIA. All I know is we need to find a contradiction in their documentation and at least embarrass the hell out of them. 911Peacenik on Mon, 06/22/2009 - 4:29pm. Where did you get this info? BTS Site? Please site your source! I searched for N644AA on the BTS site, for the locations and dates you provide for Flight AA77, and found no matches. TruthgoneWild on Thu, 06/25/2009 - 4:20pm. You can read the numbers on the photos if you choose the largest ones. They do say "charter or international flights" aren't in their database. Note that the JREF-ers think that this post at 911blogger was meant to imply that the planes never left the ground after 31 december 2000. I think it was clear early on that the majority of us here never interpreted it as such, including Aidan himself. That's why I went to the plane spotter database immediately after reading this post, because I suspected BTS was simply violating FOIA..
SnowCrash on Thu, 06/25/2009 - 5:07pm. Strange that the location and dates for N644AA aren't in the BTS logs. 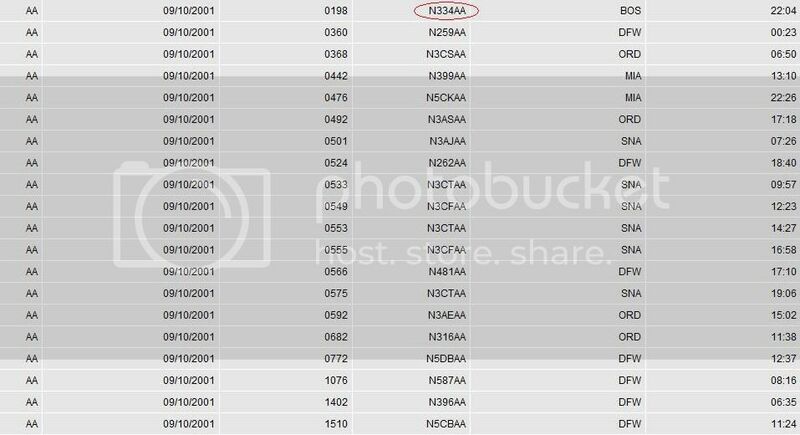 And why would they list on Sept 11th, AA77 as UNKNOW (I'm assuming that's unknown), it's a famous aircraft! The other 3 are listed with many dates and times on BTS. TruthgoneWild on Thu, 06/25/2009 - 5:39pm. What about on 9/11 itself? So we have no pre-9/11 2001 flights for the registered aircraft involved in the attacks.... but what about the day itself? What BTS statistics are there for Flight 77 that morning? (take-off logs such as elapsed runway time, taxi-out time, etc.) Is this information available to be verified or is even that a mystery? Don't tell me there's no pre-9/11 final flight information for N644AA and no Sept. 11,2001 take-off logs either. RL McGee on Mon, 06/22/2009 - 9:56am. If the last date in 2000 was say mid Dec or in Nov then it would be clear. But since it's on Dec 30/31 I just have to be absolutely clear in my mind. If there is data on 9/11 but nothing before that year then it's clear in my head. If there is no data AT ALL in 2001 then it could be a clerical error or a cover up of the data in 2001. What if we ask for a FOIA on other flights? goyogi on Mon, 06/22/2009 - 11:31am. 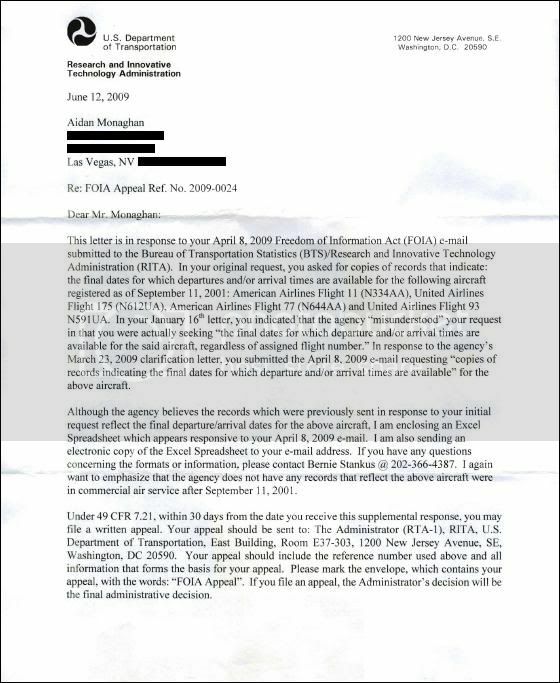 A previous similar FOIA reply from last year implied that destroyed flight computers on 9/11 would explain the missing information. However, federal law seems to require monthly reporting. IMO, the FBI did seize the missing BTS information when it likely seized other DoT and airline records for the aircraft. 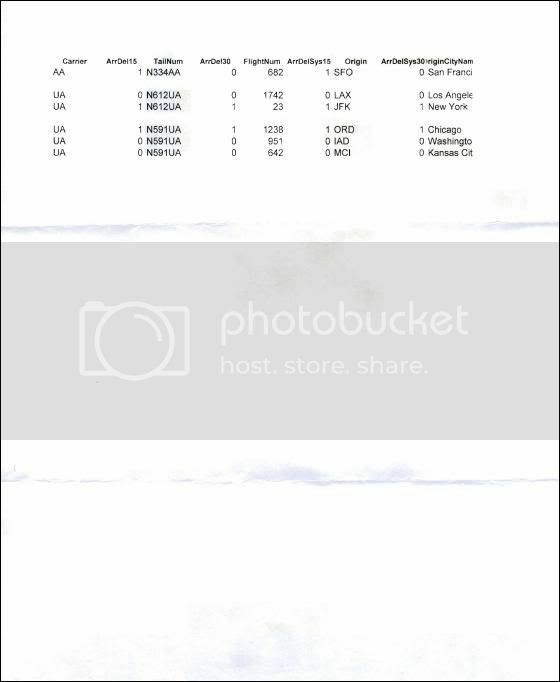 The BTS has provided departure data for the 9/11 flights (except AA 77). A BTS programmer conducted a search of the entire on-time data base (the only data base which captures flight information by tail number) for the tail numbers referenced in your request. We sent you the results of the data search. Please be advised that only domestic scheduled passenger flights are reported in this data base. Charter flights and international flights are not reported. Generally, the major airlines utilize their larger aircraft on the longer international flight segments. Also, the air carriers capture the times needed for reporting purposes by on board computers. If these planes and computers were destroyed in the events of 9-11, I am not sure if the airlines had the capability to capture the necessary data. Aidan Monaghan on Mon, 06/22/2009 - 12:18pm. So I guess that either means this was a charter or international flight, or that DOT is not telling the truth? So, the 911blogger article you referenced also involved querying the plane spotter database. What are your thoughts on these 2001 spotted flights and what do you want to learn specifically from these FOIA requests? SnowCrash on Mon, 06/22/2009 - 1:54pm. Hoped To Spot Discrepencies, Gaps, Etc. Yet given the wide use of the pre-9/11 GPS capable avionics packages contained by United and American Boeing 757 and 767 aircraft, any tinkering (Flight Management Computers) could have been performed during routine service and other checks. Also of the beleif that any unique pre-9/11 recorded discrepancies regarding the four planes might have suggested foreknowledge. Aidan Monaghan on Mon, 06/22/2009 - 2:47pm. *No flights from Aug 26 - Sept 11? Not according to BTS. As for N644AA, you would assume this tail number would show up in the Sept listings, right? Nope! 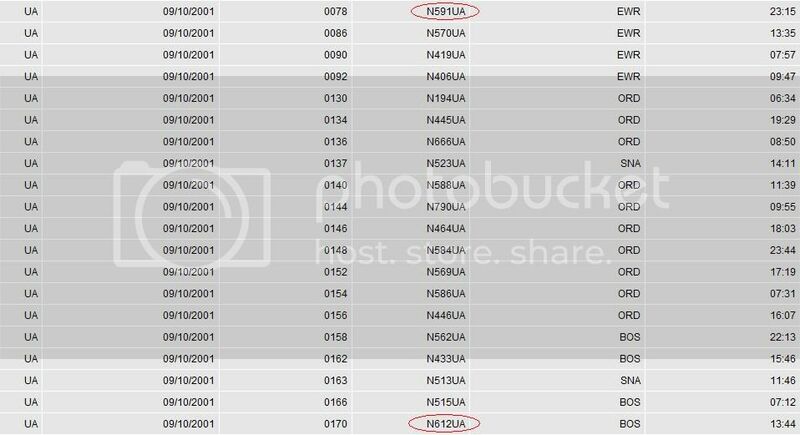 What I did find strange, in the Sept 11th listing for Washington Dulles International, Flight 0077's tail number (N644AA) is listed as 'UNKNOW', does not list the 'wheels off time' of 8:20 AM, but shows the 'Scheduled Departure Time' of 8:10. See below for exact results. Also, N644AA does not show up under any other month of 2001 flying out from Dulles International Airport. I found that the other tail numbers had listings in the BTS logs of departing out of the same airports they launched from on 9/11, multiple times. That means the aircraft with tail number N644AA has never been recorded flying out of Washington Dulles International, but the other aircraft were recorded? TruthgoneWild on Thu, 06/25/2009 - 5:03pm. With that said, thanks Aidan, for this wonderful new information. Kevin O on Mon, 06/22/2009 - 9:15am. who flew these aircraft in the year prior to 9/11, send Aidan the info and put the word out to fellow crew to do the same. foxii on Mon, 06/22/2009 - 10:04am. these major airlines just don't leave top-line aircraft sitting on the tarmac somewhere. there are payments to be made on these aircraft, and to have this many just sitting and not making money - somewhere - is highly irregular. rebel patriot on Mon, 06/22/2009 - 11:49am. sitting in a schoolroom watching a reading lesson in the midst of a "surprise attack?" How's that for "irregular?" And still it is accepted. We need an exorcist or a medicine man or a shaman to break this psychosis. zmzmzm on Mon, 06/22/2009 - 12:20pm. The president of the United States upon being informed that at second plane had struck the World Trade Center and "America is under attack" picked up a book and began to read about a pet goat. After having ignored roughly 20 PDBs and other warnings. Why would he have ignored the warnings? For the same reason that he ignored the attacks. RL McGee on Mon, 06/22/2009 - 2:35pm. There's no way these aircraft would just be standing around on the tarmac not being utilized for that long unless they were damaged. What are the odds that all these aircraft were down for repairs for the year and 9/11 just happened to be their first day back? For all 4. Where are the repair or maintenance records? (perhaps a new commission could subpoena the airlines themselves to get this information). I was working for an airline in 2001 at RDU in NC. Boeings that were functional did not just sit around the tarmac. I can also say that the FAA rountinely checked airport security to make sure that metal was not taken through. Once the FAA person at RDU put a small knife in a cup of Coke and handed it to the screener before walking through and picked it back up--- and there was hell to pay. This was summer of 01. There's also a small chance that a very tiny pocket knife could have been dropped into the coin tray among keys and coins and gotten through, but even the coin tray was looked at. To think that the success of this operation required 19 out of 19 people to successfully take metal through metal detectors is almost beyond belief. What if only 2 or 3 of them got boxcutters through? (Which is a liberal guess). And if they had accomplices at the airports with SIDA badges to hook them up at the gate, then why in the hell would they bring them boxcutters????????? RL McGee on Mon, 06/22/2009 - 2:21pm. my comment above listing the four flights spotted at various airports in 2001, up to 9/11? SnowCrash on Mon, 06/22/2009 - 2:32pm. Thanks for your tireless work. It is invaluable to the movement. It appears you have found another important anomaly. ROBinDALLAS on Mon, 06/22/2009 - 12:21pm. brian78046 on Mon, 06/22/2009 - 6:43pm. TruthgoneWild on Wed, 06/24/2009 - 3:11am. As you can clearly see, the relief in the rear area of the undercarriage (extra fuel tank) matches that of the digital analysis. Of course, the POD is also identified on the digital analysis, though I have no idea what it could be. brian78046 on Thu, 06/25/2009 - 11:12pm. I think I see a logo and a window in (2), it looks like (3). See the additional stabilizer on the wing tip for the tanker plane in (1)? It's not a tanker. Why use a military 767 without windows if you can use the real deal commercial 767? So you can blow your operation the moment somebody snaps a good picture? I'll grant you this though: some say the "pod" also left an impact hole in WTC 2's facade. This I cannot explain. SnowCrash on Fri, 06/26/2009 - 10:43am. What impact hole are you refering to? TruthgoneWild on Fri, 06/26/2009 - 3:24pm. And the avionics packages available for Boeing 757 and 767 planes pre-9/11 and enhanced GPS signals seem sufficient for non-pilot control of standard commercial planes into targets. As for alleged "pods", not sure what practical purpose they would even serve. Aidan Monaghan on Fri, 06/26/2009 - 4:20pm. the digital analysis of Flight 175 confirms that a commercial airliner did not impact the south tower. 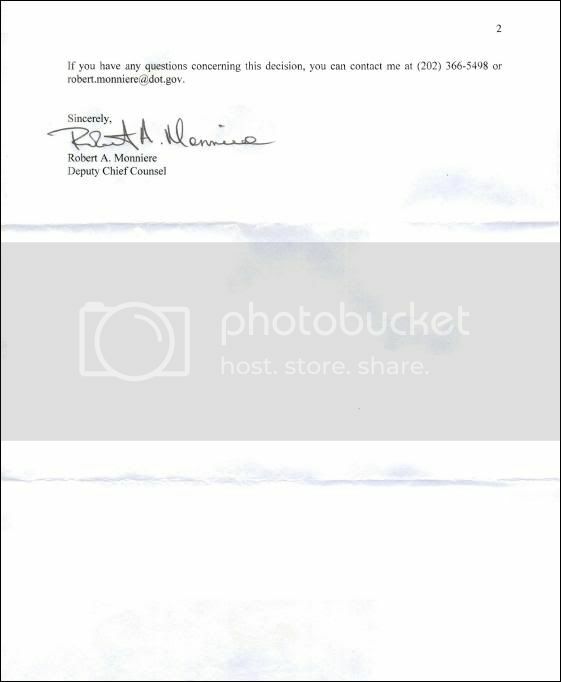 As for the NYC medical examiner's office, I wasn't there to supervise the forensics, and I have NO faith in the NYC government or the Federal government. I don't know what the POD is for either, but it is there! The media made not one interview of airport personnel at the three airports (Logan, Newark, and Dulles), which tells me that those 19 hijackers were NOT at the aiports on 9/11. If no hijackers were at the airports, then what does that tell you about Flights 11, 175, 77 and 93? brian78046 on Sat, 06/27/2009 - 1:57am. I know exactly what you're saying Aidan, I've looked at it, decided to move on. Switching planes adds further complexity. It makes more sense the aircraft and people went down in one throw of a stone. Then creating false theories for the public to bite on and fight over like animals. I'm not saying switching planes couldn't be possible, because it is possible. Or it wouldn't have been an option in the Northwoods document. But the aircraft weren't high tech back in those days, so it was a practical idea. In this day in age, they fly themselves. I have a feeling the people who modified the aircraft most likely died on 911. Thousands of birds were killed that day, with four stones. TruthgoneWild on Sat, 06/27/2009 - 3:22am. Adds Complexity...yes, but at least we're not talking about CGI! If Flight 175 had really been hijacked at Logan (and this point goes for the other three 9/11 aircraft), then if the aircraft was capable of being remote piloted, then the perpetrators would have to worry that the aircraft's remote navigation capabilities might be overridden by another entity in the government, and the aircraft landed safely. So the perpetrators had Boeing construct special models for the tasks needed on 9/11. Just a thought. Also, while the perpetrators used the 19 hijackers, whose to say the perpetrators trusted the 19? The 19 (or some of them) could be working for that part of the government that was trying to prevent the 9/11 attacks. If so, then the perpetrators of the 9/11 attacks wouldn't want to trust any of those 19 on the aircraft. brian78046 on Sun, 06/28/2009 - 2:20am. What do windows and the odd undercarriage configurations suggest? One would use a military aircraft (specially constructed) for 9/11 to insure the mission's success. brian78046 on Sat, 06/27/2009 - 1:56am. If there even was an attachment, what role would it play in delivering an aircraft to its target? "One would use a military aircraft (specially constructed) for 9/11 to insure the mission's success." What superior method of navigation would be provided by a "military" jet over a commercial jet? Aidan Monaghan on Sat, 06/27/2009 - 9:39am. Also, the rear anomaly on Flight 175 looks nothing like the paint job of a 767.
brian78046 on Mon, 06/29/2009 - 12:12am. Please circle this extra fuel tank. UA175 has every characteristic of a United Airlines, Boeing 767-222. There is no need to have a protruding object on the aircraft, visible to everyone with a camera, it's just a dead give away. Your JSTARS link proves my point that you're not seeing a bulky object hanging from the aircraft. Its a white(ish) broken stripe on a shiny surface, in the shade of the smoke, at maybe a mile's distance (not too sure just guesstimating) in the photo provided. TruthgoneWild on Sat, 06/27/2009 - 4:30am. paint jobs are not associated with reliefs. Mosaics are, however. The three anomalies under Flight 175 are obviously in relief, and those two holes near the tail of the aircraft only add to the mystery of Flight 175.
brian78046 on Sun, 06/28/2009 - 2:33am. Flight 175 regularly flew out of San Francisco, so choose that as the Origin Airport. Choose United Airlines as the airline. Check September for the month. Check All Days to see information for all of September. Check 2001 for the year. Click Submit. And wait (that's a big query). When it comes back, use your browser to search for Flight 175's tail number, N612UA. And look! It flew out of SF on the 1st, the 5th, the 7th, and the 10th, and (surprise surprise) there are no further flights. 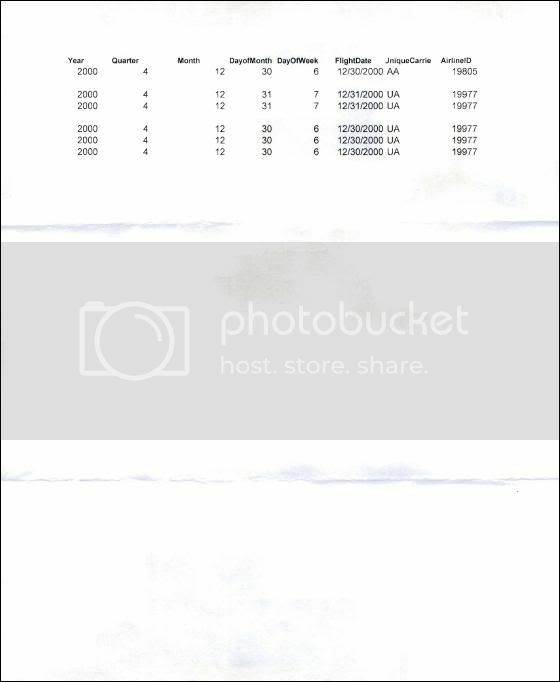 So, the BTS database tells us that there were recorded flights for Flight 175 after 2000. There's no evidence this plane was "grounded" at all. I've not checked the other flights, but does anyone want to bet there aren't records of September 2001 flights for those, too? onegus on Mon, 06/22/2009 - 7:49pm. As I said yesterday, a commercial 767 did not impact the south tower. The undercarriage irregularities (including the infamous POD) of what we are told was Flight 175 matches the characteristics of the prototype military version of the 767, which Boeing was building at the time. brian78046 on Tue, 06/23/2009 - 7:06pm. These are only the first dates found on each search, there are more. A search for tail number N334AA flying out after the assumed last flight date and airport (SFO) came up: 1/3/01, with more following. I did not search the other tail numbers. I'm sure we'll find the same results in terms of the aircraft are not grounded. During the search I saw a lot of UNKNOWN listings next to the aircraft in question, anyone know what these are? TruthgoneWild on Sat, 06/27/2009 - 4:37am.